Do you long to feel more connected in your life, for a peaceful, healthy community working together for a simpler and happier life? A village to raise your family, and a closer relationship to the earth? 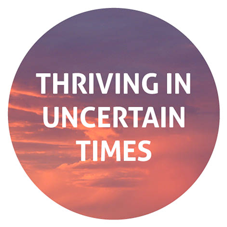 Are you searching for a place in yourself that is more resilient with a greater sense of health and well being? Do you want to experience nature in new ways? Are you looking to deepen your connection to place and know what it feels to truly belong? Internationally renowned naturalist, master tracker, story teller and author Jon Young, in conjunction with the 8 Shields Institute, have been exploring the power of nature connection across cultures around the world for over three decades. Through combining indigenous skills with modern ecology, they have developed core routines that are proven to build nature connection, creating happier and healthier people and communities. These routines, combined with the nearly lost art of bird language, and a deep understanding of cultural mentoring systems, create a framework for regeneration of western society. 8 shields Institute brings proven techniques to profoundly change our relationship with place and open a doorway to advanced awareness, as well as enabling us to take the journey of reconnecting to our ancestral roots, community and ourselves. 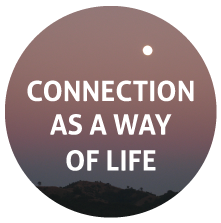 In 2019, Sal Gencarelle will return to Australia for the third time to bring this working model of nature connection and advanced connection practices for his experiential workshop on “Connection as a way of life”. This journey is suitable for nature lovers, long term naturalists, bird watchers, gardeners, herbalists, permaculturalists, teachers, parents, children, therapists, healers, educators, community creatives and anyone desiring to connect more deeply with nature, themselves and community. And keep your senses tuned as we prepare to bring Jon Young again in 2019, to continue our journey of learning for an Art of Mentoring in 2020. These workshops and programs offered through Art of Mentoring Australia are all designed as a process towards building a deeply embodied community of nature connected people to regenerate healthy cultures, both within your own community and to support the facilitation of a week long immersion in an inter-generational cultural creation based on nature connection – ART OF MENTORING. We acknowledge that we meet, play, learn and live on this wonderful country of Australia, which has been occupied by Aboriginal peoples for thousands of generations. We acknowledge the ways in which the first peoples connected, cared for, and nurtured the life of this land and its people. We thank all of the caretakers past and present, for their tending of land, waterways and cultures. We value the sharing of their knowledge and stories. We pay our deepest respects to the Elders: past, present and emerging, and promise to take care of country and each other.